The Chicago Plan Revisited is an International Monetary Fund (IMF) report from 2012 by Jaromir Benes and Michael Kumhof. The focus of the study is the so-called Chicago plan of the 1930s which the authors have updated to fit into today's economy. The basic idea is that banks should be required to have full coverage for money they lend; this is called 100% reserve banking, which would replace the fractional reserve banking system. Under this proposal, banks would no longer be allowed to create new money in the form of credit in connection with their lending activities. Instead, the central bank should be solely responsible for all the creation of all forms of money, not just paper money and coins. The advantages of such a system, according to the authors, are a more balanced economy without the booms and busts of the current system, the elimination of bank runs, and a drastic reduction of both public and private debt. The authors rely on economic theory and historical examples, and state that inflation, according to their calculations, would be very low. Following the great crash of 1929, a severe economic depression spread all over the world, not least in the USA, and, in the midst of it, a radical monetary reform called the Chicago Plan was published. The plan earned its name from the fact that it was thought out by economists at the University of Chicago and it was published in a number of editions in 1933-1935. The first plan, only six pages long, was published March 16, 1933 and was supported by a number of leading economists. By the end of that year, another version, augmented by comments on the original version, was published, and over the next two years more editions with minor changes followed. The chapter begins by questioning the standard description of the origin of money, in brief, that man first engaged in barter and then introduced money as a means of simplifying the trade and making it more efficient. On the contrary, according to the authors, anthropological and historical studies have shown that barter was practically non-existent in earlier times. The authors assert that when something resembling a monetary system was introduced, it took the form of various credit systems in which credits were denominated in livestock, tools, seeds and other items. When, only much later, a genuine monetary system was introduced, it was to satisfy state, religious and social or ceremonial needs and not for private reasons of simplifying trade. This, as the authors emphasize, is not only of academic interest, as the discussion on the origin of money leads directly to the question of the nature of money and who should be authorized to create money. More specifically, the standard description of the origin of money since Adam Smith has been used as a motive for the private issuance and control of money. 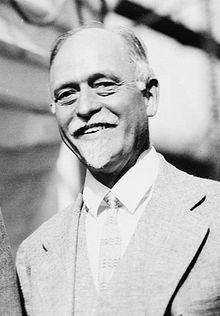 Like Irving Fisher, who was a leading proponent of the first Chicago Plan, the authors are looking upon four great advantages in state controlled issuance of money compared with the private money creating activity of the banks. The first is increased control with the fluctuations of the market so that exaggerated booms and slumps are prevented. The second advantage is increased financial stability due to the likely elimination of the risk of bank runs. The third and fourth advantages put forward by the authors are a dramatic reduction of public debt together with a great potential for minimizing private debt. The most important feature of the new model is that the banks would be obliged to back up deposits 100 percent with credits issued by the government. This means that they would not be allowed to create their own new credits which, in turn, are made into deposits. The transformation into this system, which would mean that the government would be in exclusive control of the aggregated credit volume and the total amount of money, would take place in two steps. In the first step, the banks would be forced to borrow from the Treasury to obtain full coverage for all deposits, meaning that all the banks' private and corporal statements of accounts would have to be equalled by a corresponding amount of available money. This government credit, which is an asset for the government and a debt for the banks, would, from a government perspective, be used for redeeming the interest-bearing government bonds that the banks own (and which is an asset for them). In the next step, the banks would credit the government credit as well as the assets from private deposits and holdings of government bonds. In other words, the debt owed to the government would be cancelled out by assets from deposits and governments bonds. In this way, the national debt owned by the private sector would be eliminated and all deposits, which today lack backing, would be fully backed up. Proponents argue that all this would be possible with the aforementioned government credit. The process would be concluded by the banks adapting to a lower official cash demand by lowering the amount of their own capital. Criticism of the report has emerged too, not least from commentators associated with the Austrian School. Gary North, for instance, who earlier had engaged in a furious debate with Ellen Brown and other so-called 'greenbackers', holds, to put it briefly, that proposals such as this one would not work because it would amount to the same as handing over the money fountain to the state which he believes would invariably lead to inflation or hyperinflation. According to North, it is just as bad to let the state, or the central bank in alliance with the state, 'create money out of air' as it is to let the banks do it through their fractional reserve banking. The only right thing to do would be to let the market take care of the creation of money, with a gold standard, but without fractional reserve banking. Martin Sibileau, who is also an Austrian economist, considers the idea of letting the state buy the banks' assets, in the form of deposits, a kind of confiscation. He believes that the credit can not be created unilaterally by one party, but that it requires two parties, in mutual agreement, creating it together. Moreover, depositors and shareholders, would, in the event that the reform were introduced, understand that the assets had been priced according to this 'government credit', and they would try to escape from this by selling assets, in other words the government credit, at a loss for real money, that is, cash. Recently, advisors to the government of Iceland have come up with a plan for monetary reform based on the Chicago Plan, but also incorporating several elements from other developments. The plan centers on the idea of replacing the current system of private creation of money by banks by a system where only the government is authorized to issue "Sovereign Money". See Frosti Sigurjónsson (March 2015) Monetary Reform – A Better Monetary System for Iceland, report commissioned by Prime Minister of Iceland, Reykjavik, Iceland.